Usually, a story about Elon Musk and Twitter involves some insane rambling on his part about Tesla, divers, aliens or…whatever crosses his Ambien-infused mind while his phone is within reach. 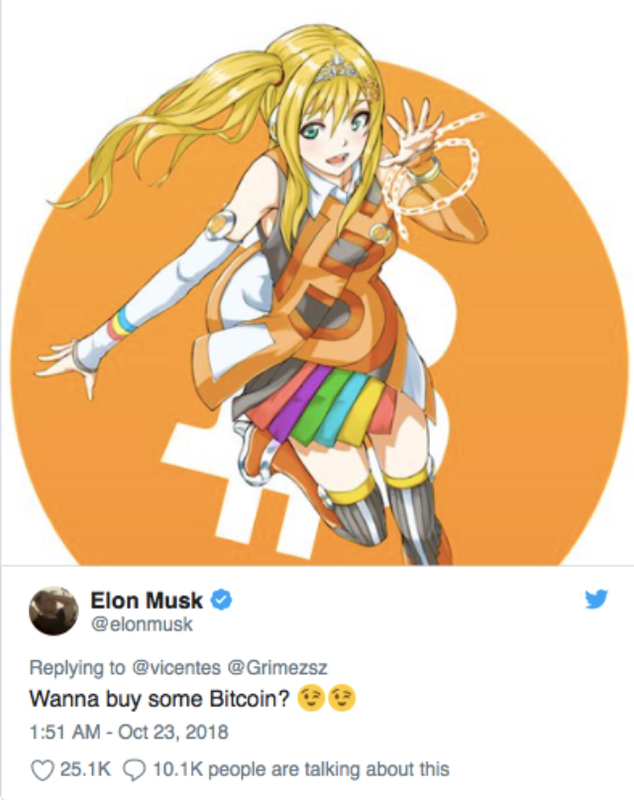 This time Elon’s name and likeness are being used by cryptocurrency scammers to promote a fake Bitcoin giveaway. According to Business Insider, the scam is quite simple. The scammer hacks a verified Twitter account (the little blue tick tells us it’s legit). They then change the name and profile picture to ‘Elon Musk’ or another well-known public figure, following which they tweet as if they are that person. This is where it gets clever. The hackers will then show up in Musk’s mentions, acting like they’re finishing a thought that Musk left off in a real tweet. 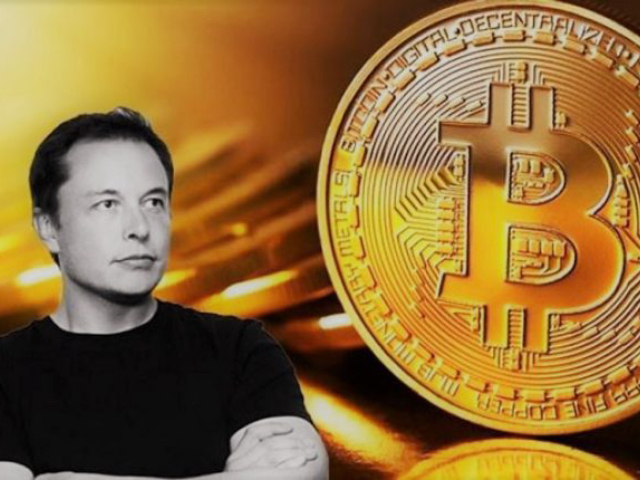 Then, they link out to a cryptocurrency scam, usually claiming Musk is doing a giveaway that requires users to send some of their own cryptocurrency to the scammer. Recently, however, these scams have ventured outside of Musk’s mentions and into timelines. After hacking a verified account, the scammers have successfully “promoted” their tweets using Twitter’s ad service, effectively forcing their way into timelines of everyday users. This is a definite step up from that scam email we received last week. I’ll say this about Elon – his tweets might be a bit erratic, but his grammar and syntax are significantly better than that of the scammers – “Bitcoic to all community!”. In order to “participate in giveaway”, Twitter users were asked to part with a small amount of Bitcoin, reports BBC. Obviously, victims don’t receive any Bitcoin in return. Before you judge the folks who fell for it, though, keep in mind that to the untrained eye, the scam can appear legitimate. The scammers hack other accounts, which they use to trick people into thinking that the giveaway is real. 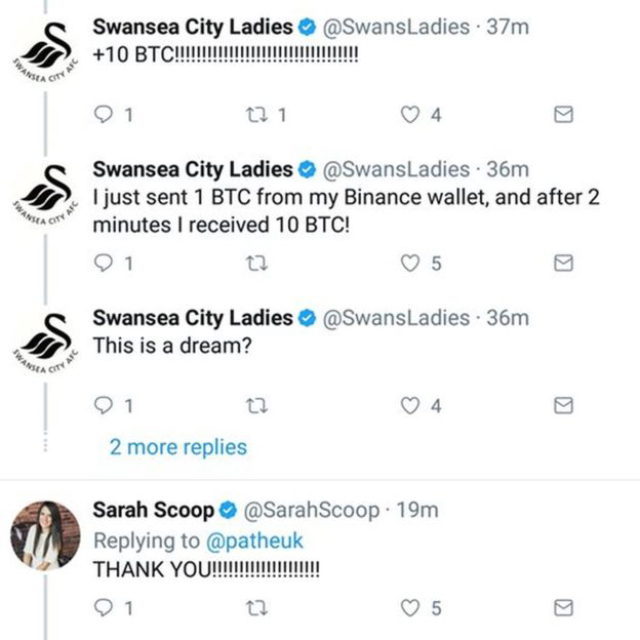 The tweet above appeared to have been praised by boxer Rayton Okwiri, blogger Sarah Scoop, and football team Swansea City AFC Ladies – all hacked accounts. 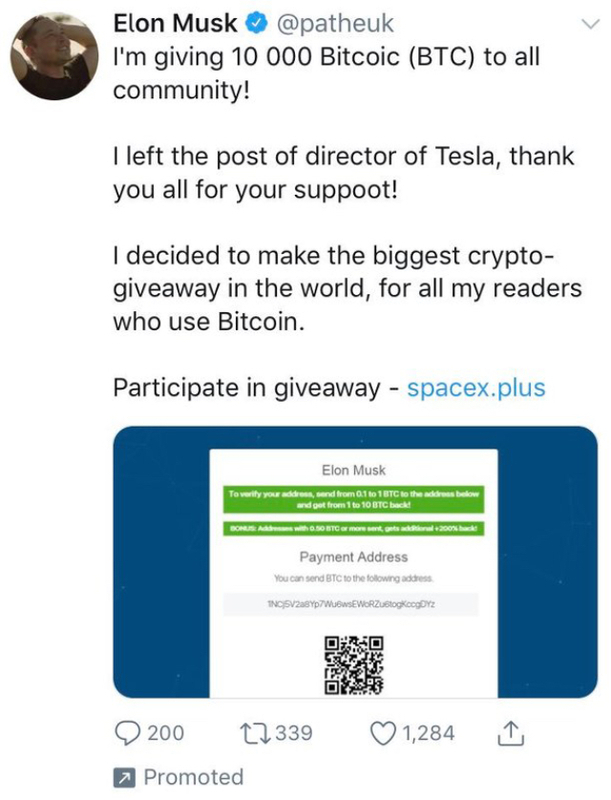 These scams have become so frequent on Elon’s Twitter account that he accidentally got himself blocked when he posted a parody tweet in response. Twitter is working on getting better and better at identifying and deleting the scams. In the interim, if it seems too good to be true – it probably is.